Looking for private in-home or in-studio Music Performance lessons? Our College Grove teachers are ready to get you started. Find your teacher today! My main objective as a music educator is to produce well-rounded and knowledge musicians. Incorporated into instrumental lessons for the aspiring performance major or student interested in pursuing a career in music performance. Students of music performance perfect their skills as musicians. 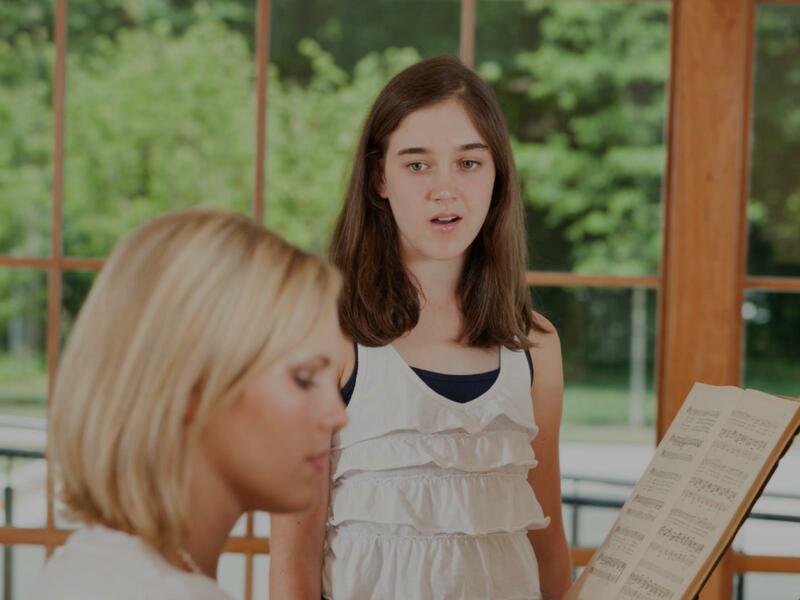 Lessons, classes, and recitals help students develop a personal style and prepare them for performing as soloists, ensemble players, and accompanists. You will learn stage presence along with proper vocal techniques! As a performing singer/songwriter, I have appeared on radio and television stations and been a regular at premiere music venues across the United States. We will come at the subject of Music Performance from many angles to customize a step-by-step routine that will help you prepare. Got a big recital or show coming up? Headed out on a tour? Have an audition for a school production, talent show or "The Voice" ? Let me help you feel super confident onstage during your performance! Prepping yourself to be the best performer you can be! "She is a great teacher. She loves God and wants to serve him to the highest. Awesome experience." "Melanie A. is an extraordinary teacher! ts from any background to really understand what it is they need to and learn. To begin, Melanie's upbeat and bright, but professional personality is one that easily clicks with all types of students, making it easy to learn. She is so patient and kind, but just strict enough to get us to do what we need to do. I have seen her sing several times and her great vocal talents and stage performances allow her to give honest, professional, and needed pointers that help students improve (but never in a harsh way). I personally observed this from our band sessions where she is able to teach and give performance advice to a group of students that has greatly improved our ability to be able to be on stage. As a guitar player, she has given me pointers that slightly pushes me out of my comfort zone, but as bettered my stage performance.Just as she capable of teaching groups, she is an excellent one-on-one teacher. It is never hard to ask her for extra help or assistance as her genuine love for singing and music is what fuels to want others to have the same love for it as well. She is always encouraging and constantly reminds you of your abilities to make sure you are never feeling discouraged. Having her as a mentor will never fail to improve your skills in music (whether it be singing or performing on stage) and build your confidence."